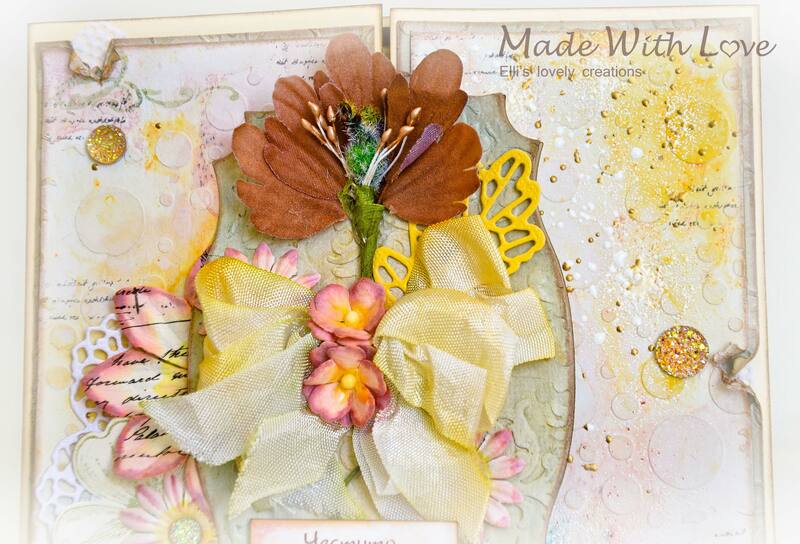 here I am with a new Mixed Media Watercolor Wedding Card Autumn Flowers. Quite tough was the work on a Makro Baby Album with over 50 pages, which took me several months to finish. More about it in one of the following articles. Stay tuned! 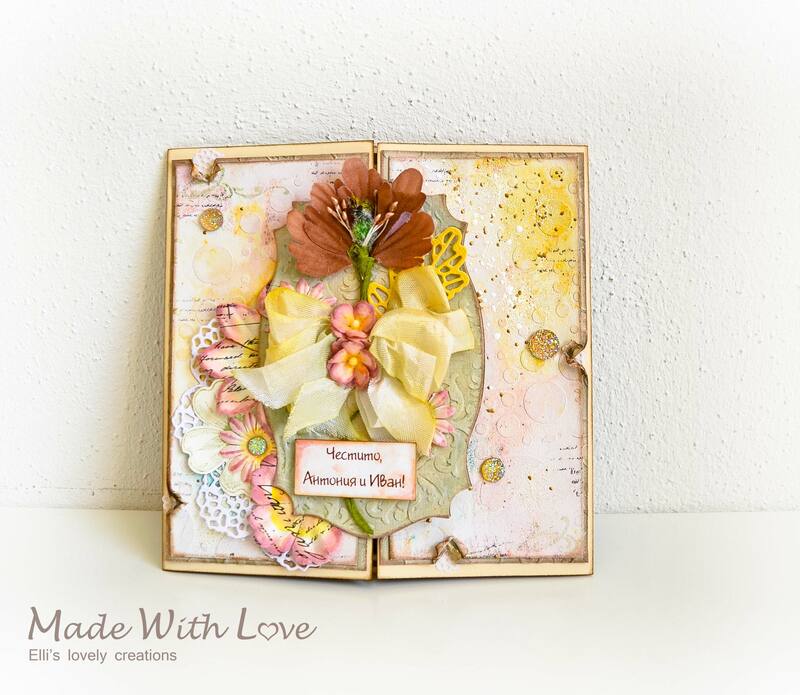 Today I want to show you a Mixed Media Watercolor Wedding Card Autumn Flowers (14cm x 14cm) I made to order for a friend of mine. 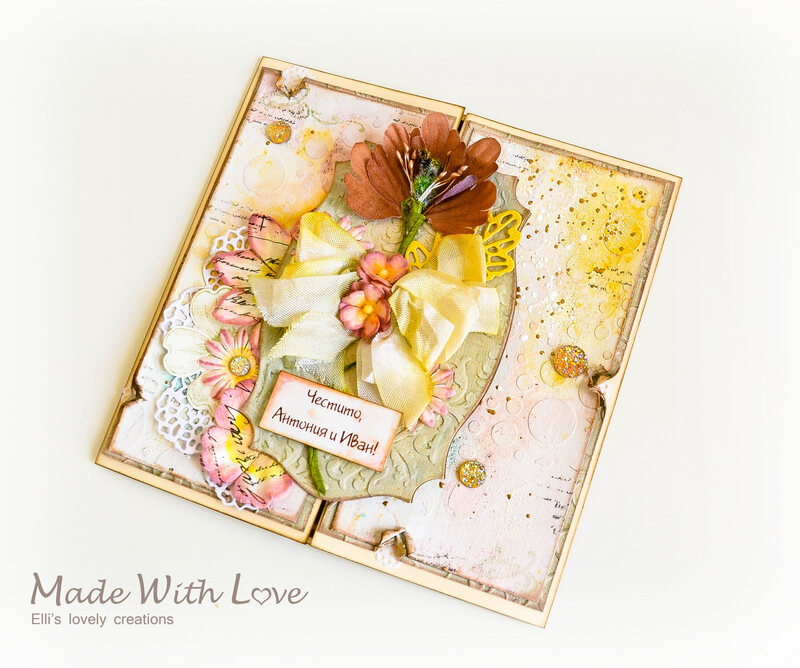 She wanted delicate, pastel autumn colors and a card, which opens in the middle. This truly is made with love! The details are amazing! So glad that you join the fun over Simon Says Stamp Wednesday” Anything Goes” Challenge! Awesome details and design! Super work! Simply Gorgeous! Thanks for dropping this into our mailbox at 613 Avenue Create! 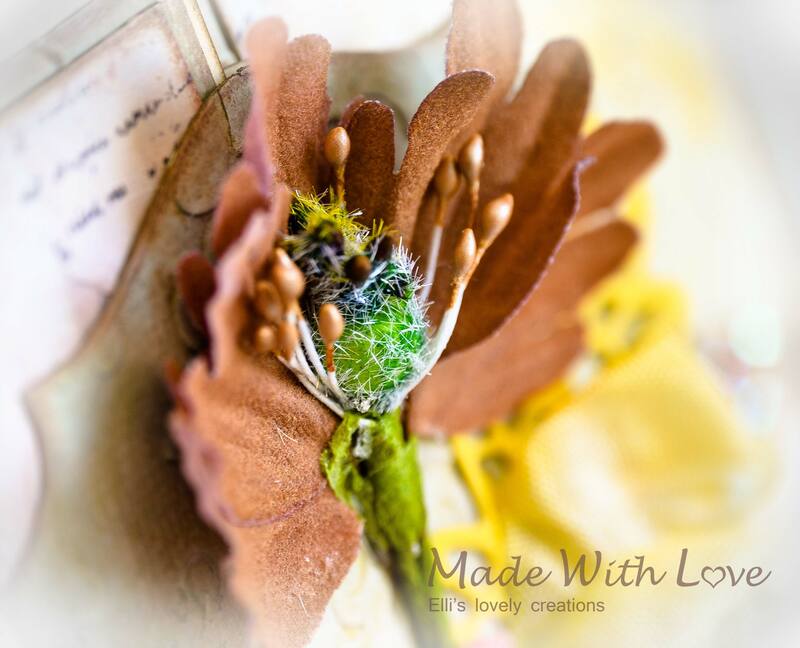 Gorgeous creation! 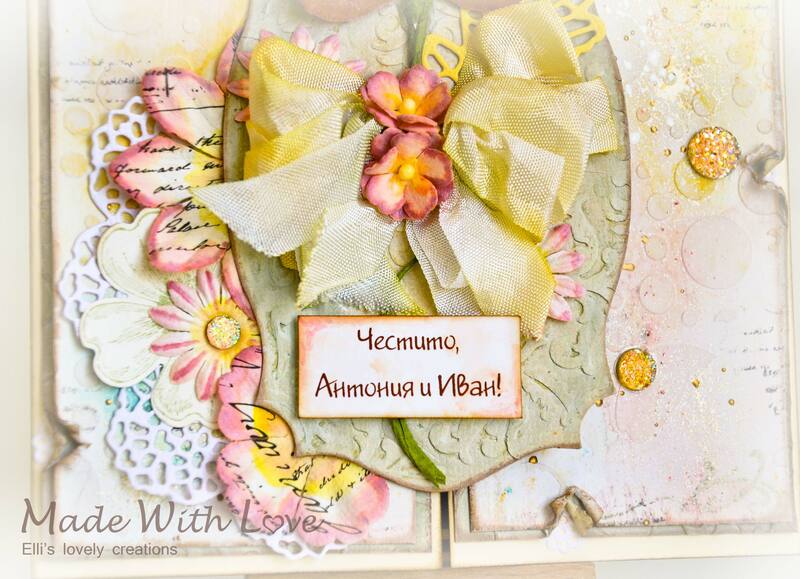 Love your design – the card looks so elegant and sweet! So many wonderful details – wow! This is so pretty! Thanks for joining us at Sunny Day Crafting. Your card is beautiful. 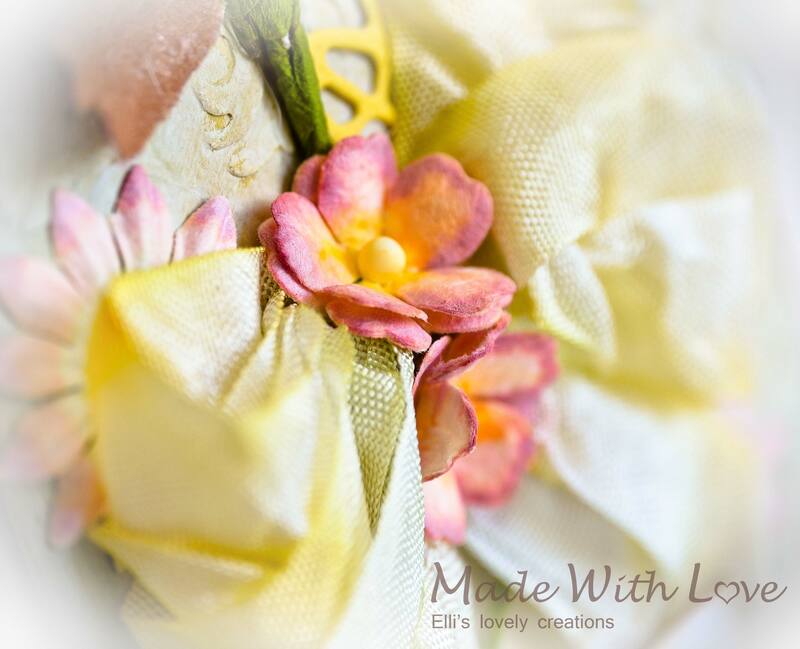 I love the soft background and beautiful flowers. Thanks for joining us on the Simon Says Stamp Monday Challenge. This is such a beautiful card, and great design! 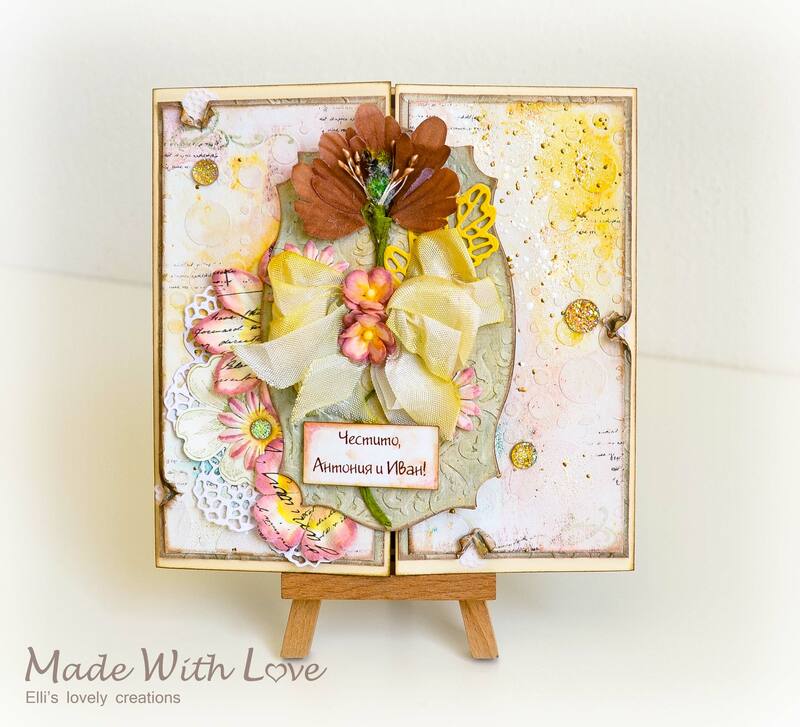 Love your amazing mixed media layers and the flower as the focal! Ели, прекрасна е! Страшно много харесвам нещата ти и винаги ги познавам! :) Благодаря ти, че участва в моето предизвикателство. Поздрави!